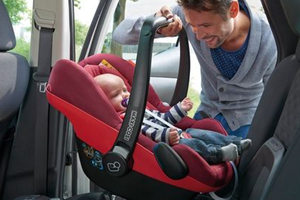 Any new parent will know that when it comes to buying and fitting a car seat for a baby or child things can become quite complicated. There are various suggestions, rules and laws about car seats and in this blog post we aim to make things clearer for you. Most importantly we want to make sure that your children are safe, but we hope our advice can also ensure that you don’t break any laws when you buy and fit your first child seat. 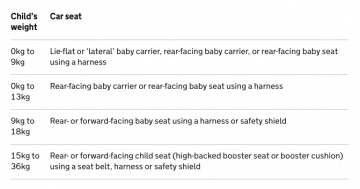 When should my child use a Car Seat or Booster Seat? Usually children are required to use a car booster seat up until they are 12, or until they are 135cm tall. If your child is 135cm before they’re 12 then they no longer need to use a car seat. There are certain circumstances when a child can travel without a car seat but it is not at all advisable, more information on these circumstances can be found on the GOV.UK website. What kind of car seat should I get? 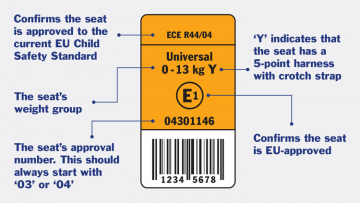 When buying a child car seat look for the orange label. This will tell you all the important safety information about the seat. The label must have an E in a circle to be EU approved and therefore legal to use in the UK. Click on the image to the left to see an example of the label with explanations of what everything means. Height or Weight Car Seats? Height-based car seats or ‘i-Size” seats must be rear-facing until your child is over 15 months old, after that the seat can be user forward facing. Check that the seat is suitable for the height of your child. Weight-based seats must be suited to your child’s weight and the way your child is restrained in these seats varies according to their weight too. Click on the table to the right to find out which kind of seat your child will need. You should usually only use a child car seat with a diagonal seat belt. 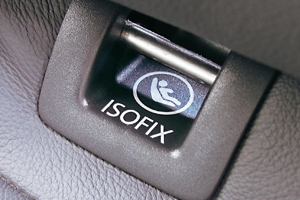 There are a few exceptions, you can purchase car seats designed specifically to use with a lap seat belt and you can also purchase car seats to use with specialist ISOFIX anchor points in your car.